The Rooms Art Gallery is dedicated to presenting innovative exhibitions featuring work by professional visual artists* from Newfoundland and Labrador and abroad. The gallery distinguishes itself through a program of thought-provoking exhibitions that are meant to engage on current art practice and issues in contemporary society. The gallery also programs exhibitions of historical artworks presented through a contemporary lens. We present an average of 15 exhibitions per year through 1000 square metres of art gallery and public spaces at The Rooms. Our temporary exhibitions change three times per year, and run for a three month cycle. Most of our exhibitions are conceptualized, developed and produced by our in-house curators. Through selecting our exhibitions, we strive to balance several criteria, and create a variety of experiences throughout the programming cycle for our very diverse audiences. 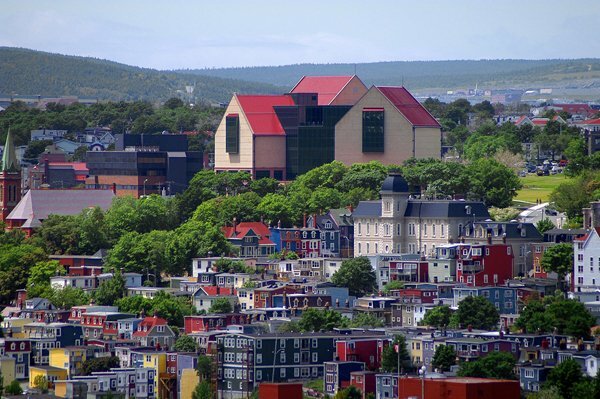 As the public art gallery of Newfoundland and Labrador, our audiences range from those who wish to engage in an international conversation around contemporary art, to first-time gallery-goers. Our goals are to engage our visitors in critical discourse about the importance of visual art in contemporary society. Our exhibition program tends not to overlap with artwork that our audiences can access in other venues, such as local commercial galleries and artist-run centres. We welcome exhibition proposals from professional artists, and other public art galleries, but ask that prior to making a submission, applicants consider our mission and programming directions through reviewing our exhibitions either online or through visiting the gallery. Note that most of our exhibition programming is planned three years in advance, and we have limited capacity to consider projects with a short timeline. Exhibition proposals are reviewed on a quarterly basis by a committee of in-gallery staff. *Professional visual artists are generally those who have achieved advanced training in visual art (MFA), have an established exhibition record in artist-run centres, such as Eastern Edge, as well as other public galleries, and also have been recognized through critical review. Letter describing your artistic practice, and a brief rationale for presenting your work at The Rooms Art Gallery. 5-10 images of your artwork as printed or digital files (max. 1 MB if sent by email), or refer to a website address where work may be viewed. Label images with your name, title of the work, date of production, medium, and dimensions. Please mark “EXHIBITION PROPOSAL” on the envelope or list it in the email subject line. For insurance and liability reasons, we will not accept original works of art. If the proposal is of interest, a curator may contact you for more information and images. Information: 709-757-8040. Email: artgallery@therooms.ca. Please note that we will not be able to accommodate appointments on a drop-in basis. If you would like your materials returned to you, please include a self-addressed, stamped envelope (SASE). Please allow a minimum of six months for the return of materials. Materials submitted without a self-addressed, stamped envelope will not be returned. Note that while an effort will be made to reply to every submission, it may not be possible to do so if there is a high volume of proposals received in any given period. The Rooms is not liable for submitted material. Review of a proposal will not constitute its acceptance, or a promise to exhibit.